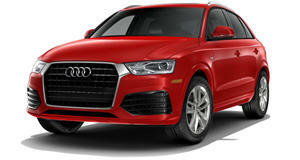 As part of its ambitious expansion plans, Audi has confirmed that the Q4 crossover will be launched in 2019. As suspected, the baby SUV will borrow design cues from the Audi TT Offroad Concept that debuted at the 2014 Beijing Motor Show. Speaking from its HQ in Ingolstadt, Germany, Audi CEO Rupert Stadler said, "We offered a preview of this type of vehicle with the Audi TT Offroad Concept study three years ago," according to Automotive News. 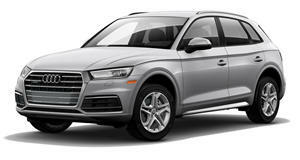 Like the Range Rover Evoque and BMW X2, the Audi Q4 will combine the utility of an SUV with the good looks and sporty appeal of a coupe. The TT Offroad Concept featured a plug-in hybrid powerplant, combining a 2.0-liter turbo-four with a pair of electric motors. However, the Q4 will almost certainly utilize the same engine as the Q3, a 2.0-liter turbo four rated at 200 hp and 207 lb-ft of torque, mated to a six-speed automatic and Quattro all-wheel-drive system. There’s no word on which markets will get the Q4, but we’d be staggered if the US wasn’t one of them given both the Q3 and Q5 are sold here. Following its hugely positive reception at both the Detroit and Geneva motor shows, the Audi Q8 is set to go on sale in 2018, followed by the Q4 a year later. The Q5 will receive a facelift later this year and the Q2 is going to be offered in new markets, while the all-new A8 and A5 will also hit dealers this year. An all-new second-generation A7 will launch next year too. Audi will soon have enough models to reach its target of 14 RS models in the next 18 months.